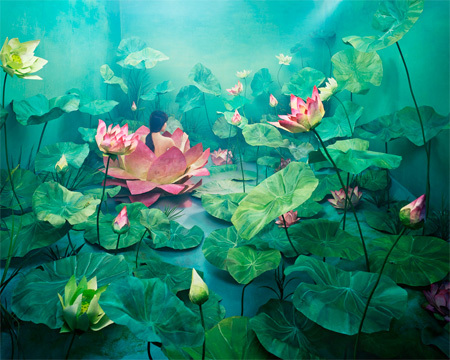 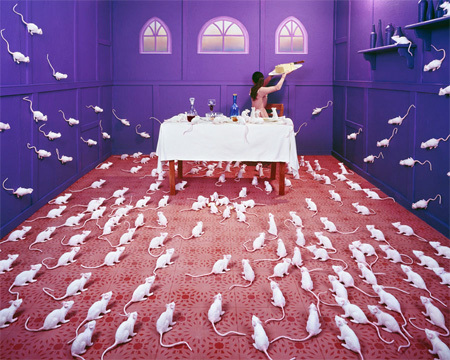 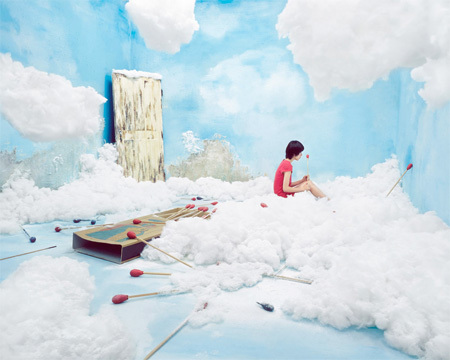 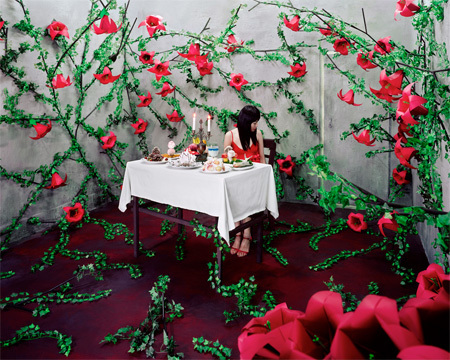 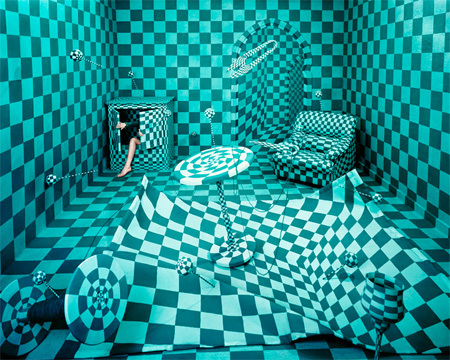 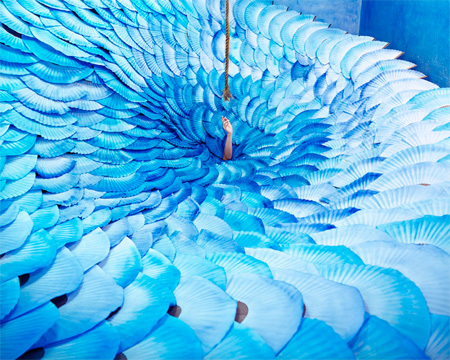 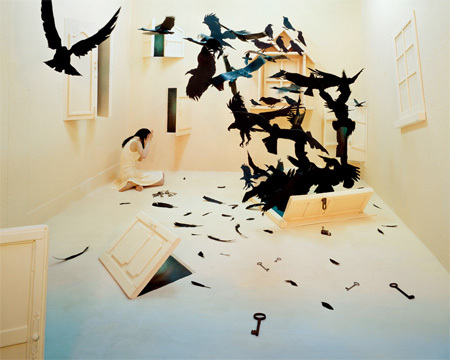 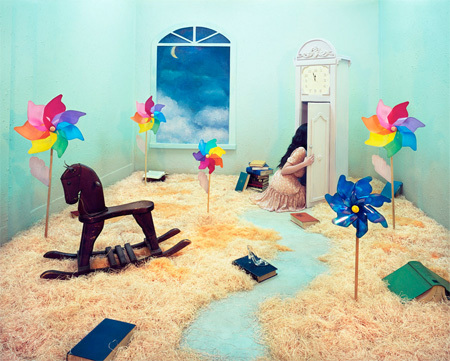 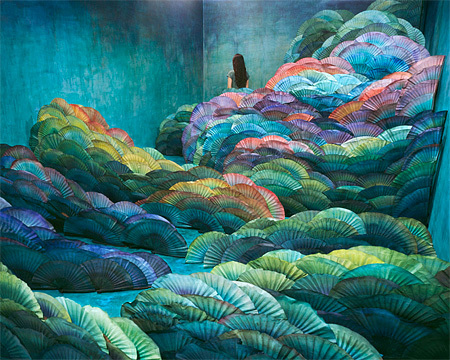 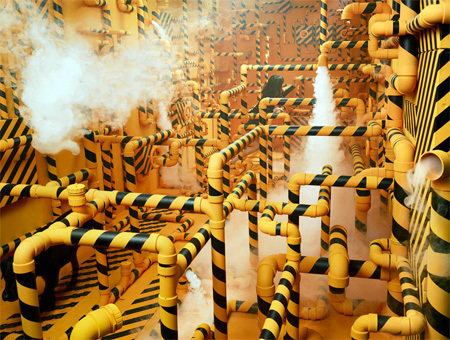 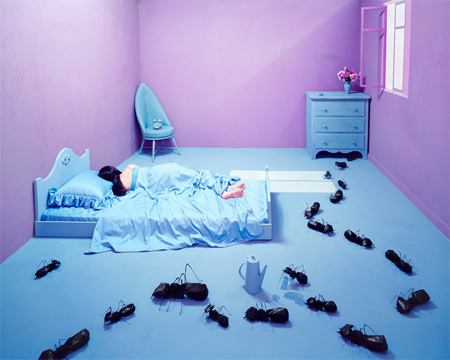 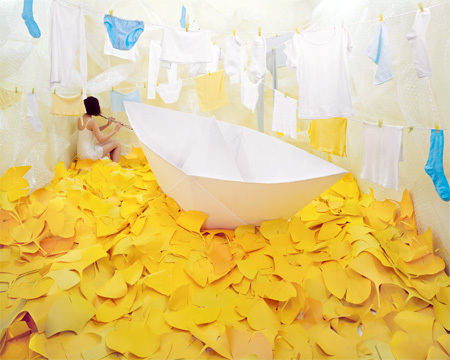 Ordinary room transformed into beautiful and creative landscapes by talented Korean artist JeeYoung Lee. 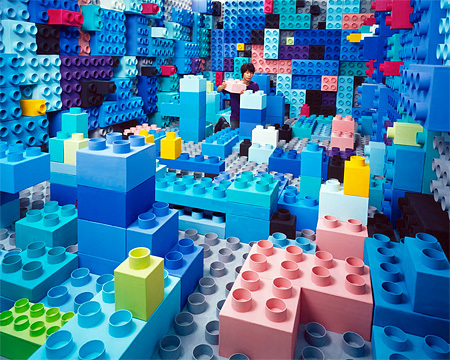 Unique worlds created inside of a tiny art studio after weeks of hard work. 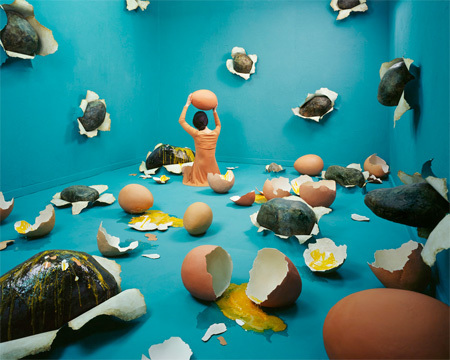 Whimsical art installations serve as backgrounds for creative photos. 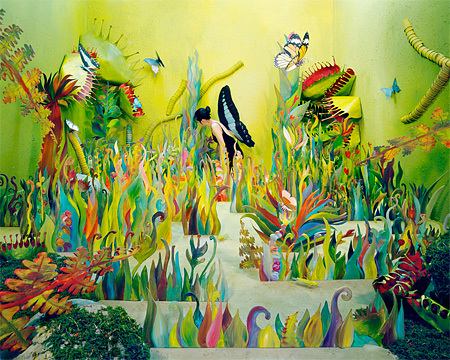 Everything that you see in the pictures actually exists and was designed, arranged, or handmade by the artist. 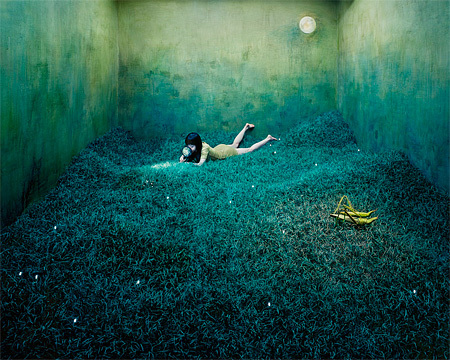 I love the Treasure Hunt! 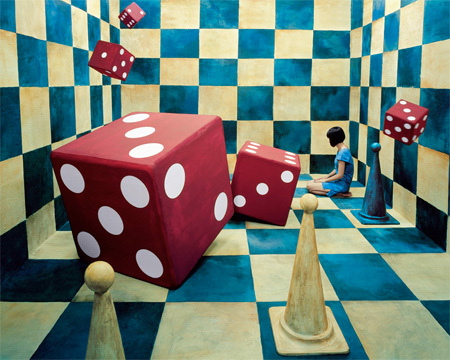 Paint or 3d or magic?